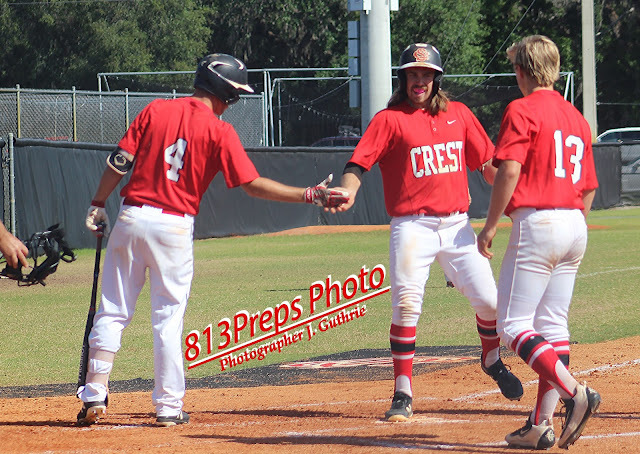 Senior Derek Barone (at center stepping on plate) doubled in a pair of runs in the ninth inning as Strawberry Crest defeated Fleming Island, 2-0 for the Class 8A Region 1 title and a spot in next week's state semifinal. Strawberry Crest earned the program’s first-ever region title and state semifinal appearance by defeating Orange Park Fleming Island, 2-0 in nine innings on Tuesday. With the game scoreless in the top of the ninth, Ryan Dell got things started with a single (his second hit of the night), stole second and moved to third on a Benny Pues infield single to third. 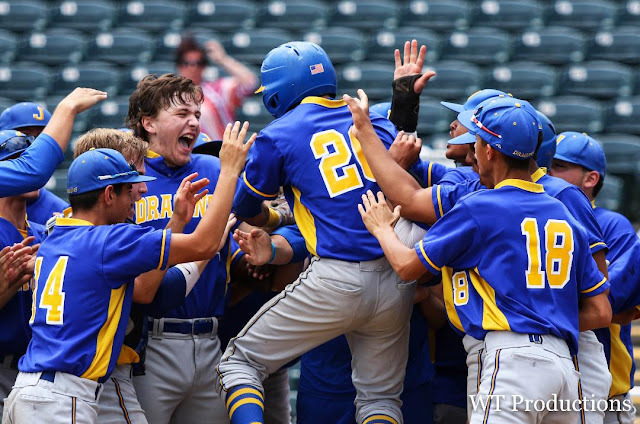 With one out senior Derek Barone stepped to the plate and drove the winning run and an insurance run across the plate with a double to the centerfield fence off a full count. Senior Damien Torres, who entered in relief after Brent May tossed five-plus shutout innings, worked the final four shutout innings including striking out the side after coming on in the sixth to earn the win. Strawberry Crest await the winner of the Region 2 final between Sarasota and Plant, which was rained out Tuesday evening. 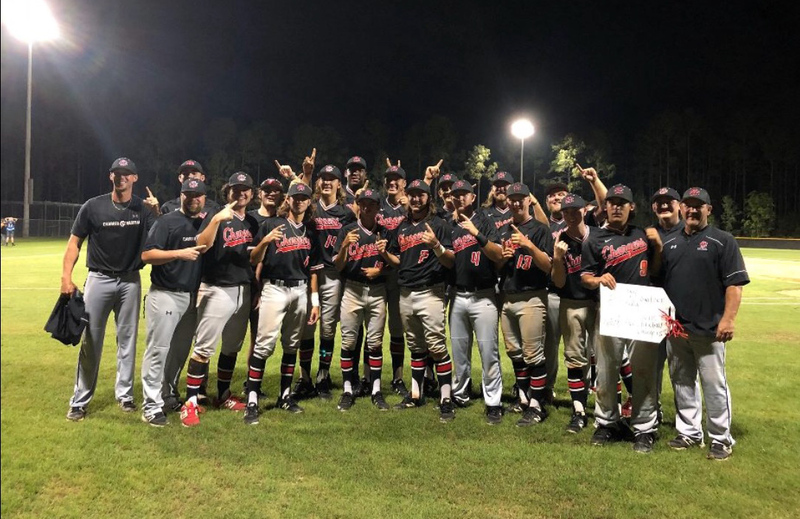 The Panthers host the Sailors Wednesday at 3 p.m. and the winner will square off with the Chargers at Hammond Stadium in Fort Meyers next Friday, June 1 at 10 a.m. in the state semifinal.